Louisiana Purchase may not have a gluten free menu, but they sure know how to serve up some great gluten free Cajun meals. They are located downtown on 111 St just south of 104 Ave. The restaurant looks very rustic with its brick exterior and interior, which is pretty rare to see in Edmonton. We have been to Louisiana Purchase several times already. Once with the Celiac Association, once on our own, and once with a Celiac Dinner group. Most of their menu is gluten free except for stuff like green onion and crab cakes. The wait staff has known what is gluten free or not, and of course if they are not sure, they will certainly go find out. Boudin with Cottonpickin' Chicken and dirty rice. 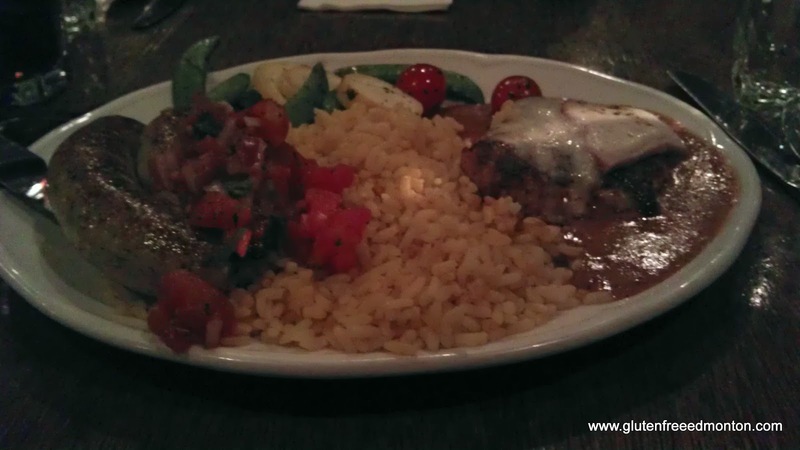 We tried out several dishes already, and none have been disappointing. If you can't chose just one thing, there is part of the menu where you can order two half sizes of something to make a full meal. Allows you to try several things. Amanda tried the BBQ Rib Combo plate. Yes the BBQ sauce is gluten free, and oh so good! 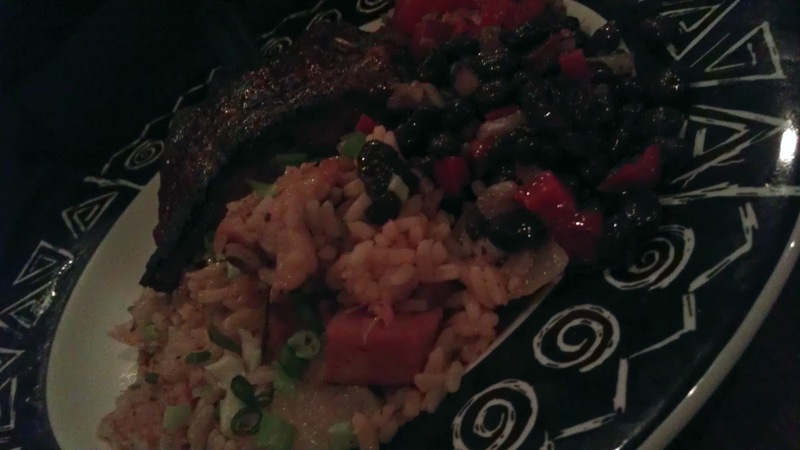 The combo plate comes with ribs, Louisiana Jambalaya and black-eyed pea salad. Amanda typically doesn't like beans but really loved the bean salad. 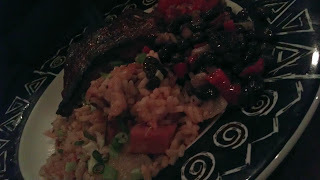 The ribs were fall off the bone goodness and the jambalaya was just as good. I think I may just have to order that next time. I ordered two half orders so Amanda and I can sample a few other gluten free items on their menu. The first was what I had the first time I ate at Louisiana Purchase which was the Salmon, Shrimp & Crawfish Boudin. It is essentially a seafood sausage. I love it, and I would order it again and again. The menu describes it is Cajun sausages stuffed with delicately spiced seafood and rice - with pink & green peppercorn cream. 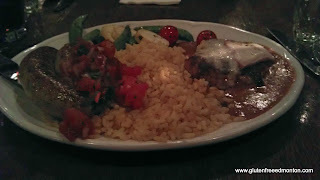 The other half of the order was the Cottonpickin’ Chicken which is described as Grilled spiced breast of chicken with back bacon and provolone cheese - with Ancho chili cream. I really loved this too, and so did Amanda. So much so that she traded up some of her ribs for some extra chicken. I thought it had a similar taste to butter chicken. That's probably why I loved it so much. 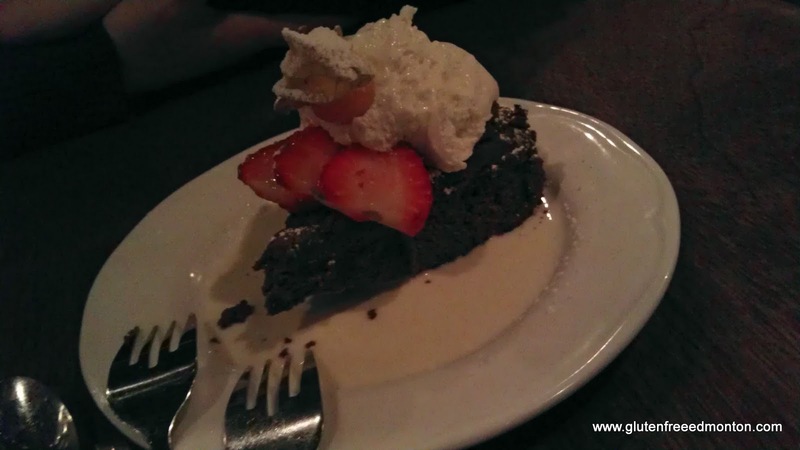 Finally, we both shared a gluten free flourless chocolate cake. Yes, you heard me right, flourless chocolate cake! These must be getting popular in general, because we've seen it on the menu of Highlevel Diner as well. 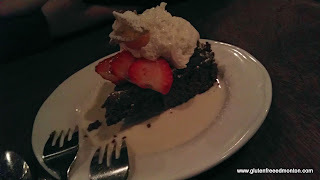 Of course because its a flourless chocolate cake, its very rich, so not much is needed to fill that craving. But of course, I can never have enough chocolate cake richness. Mmmmmmm.